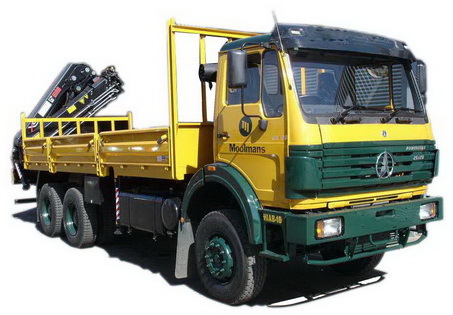 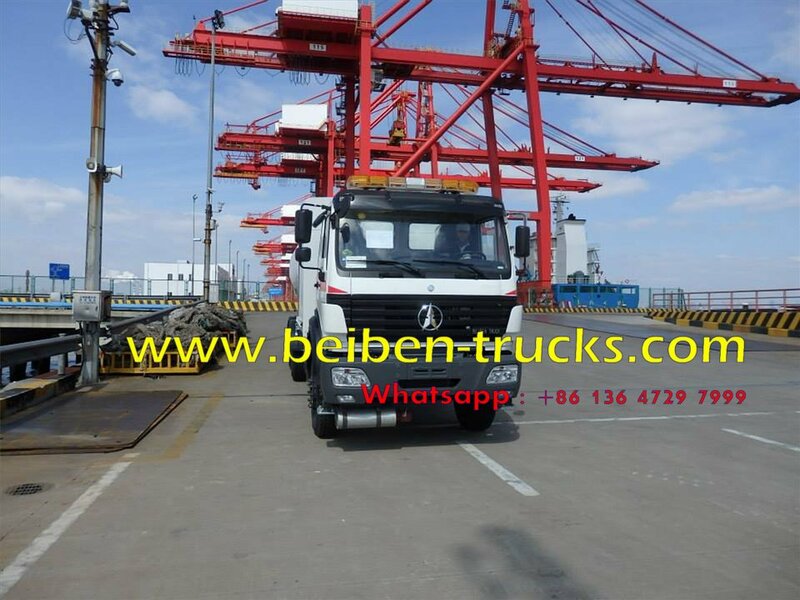 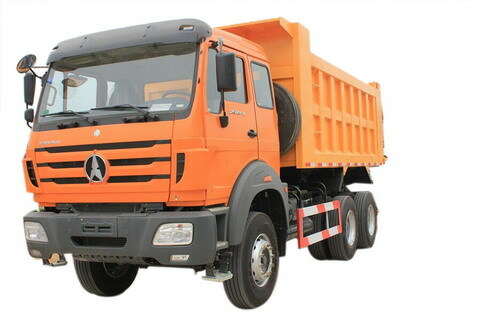 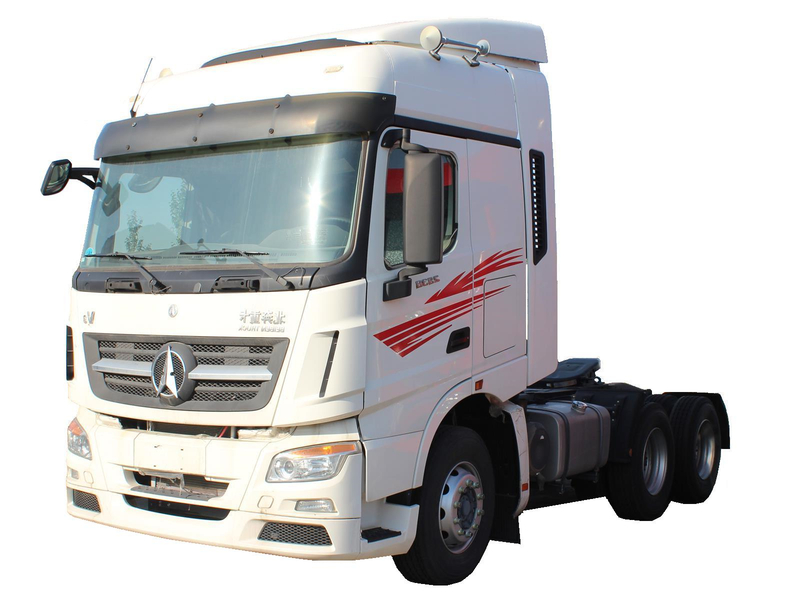 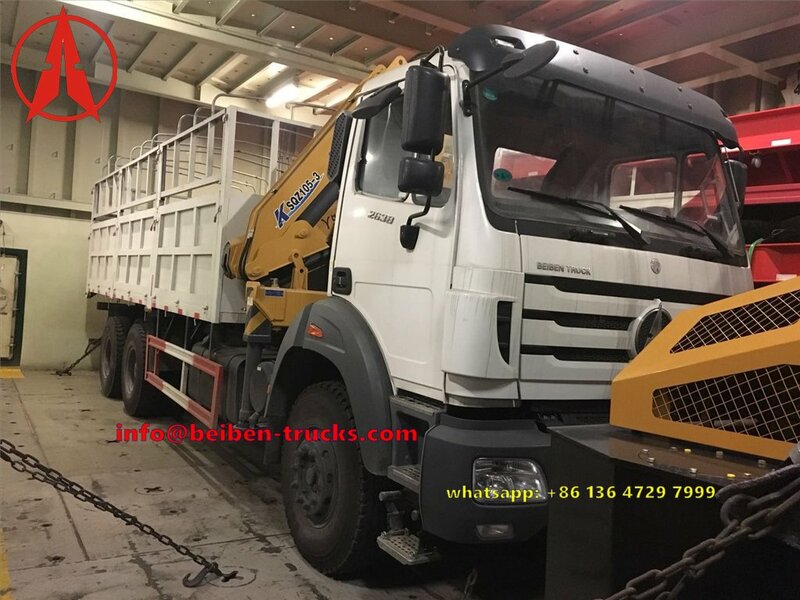 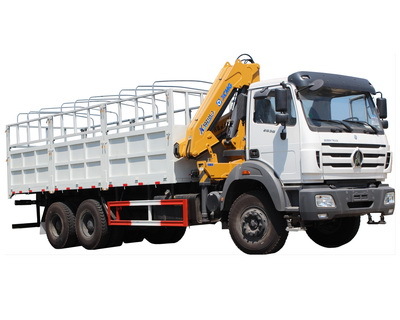 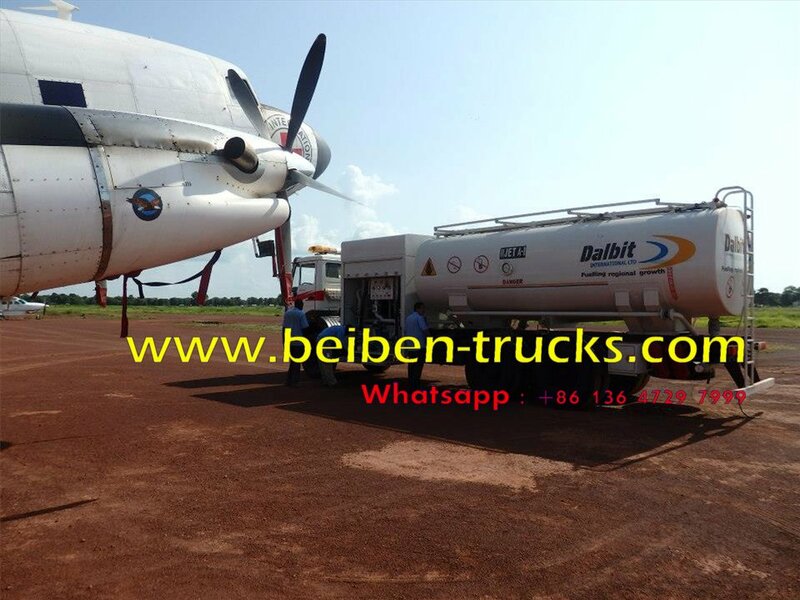 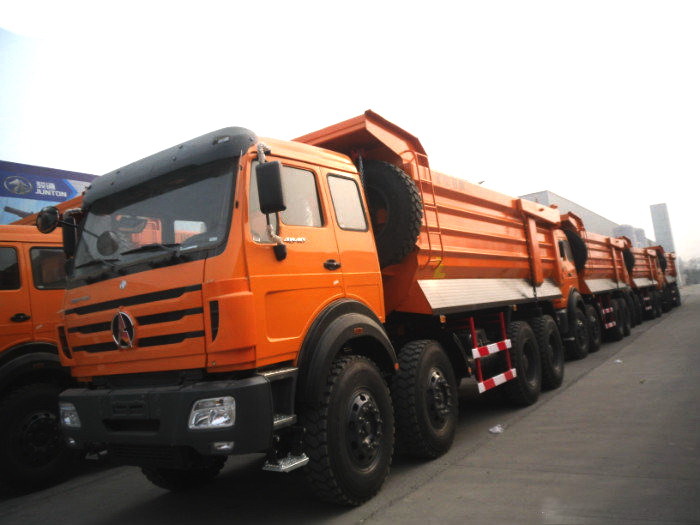 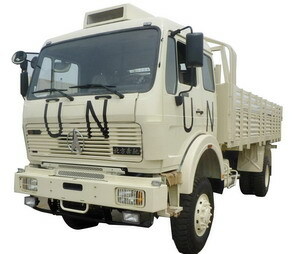 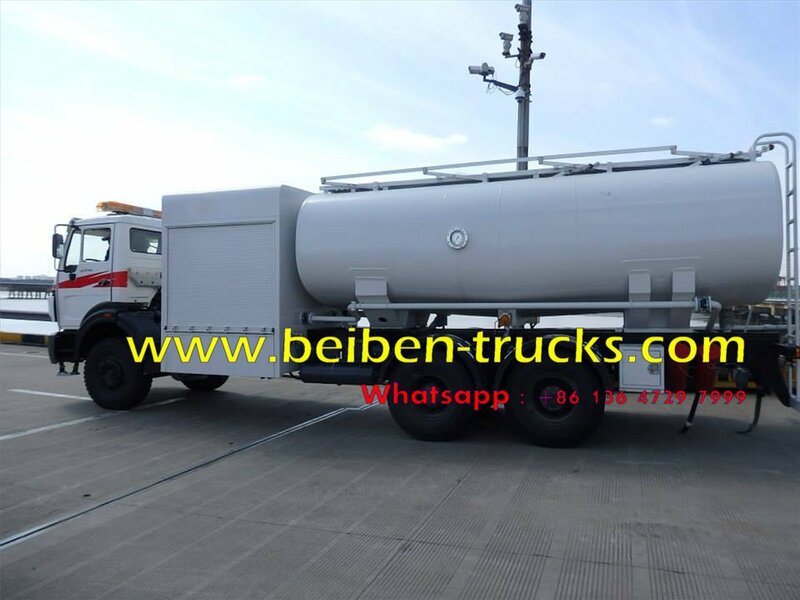 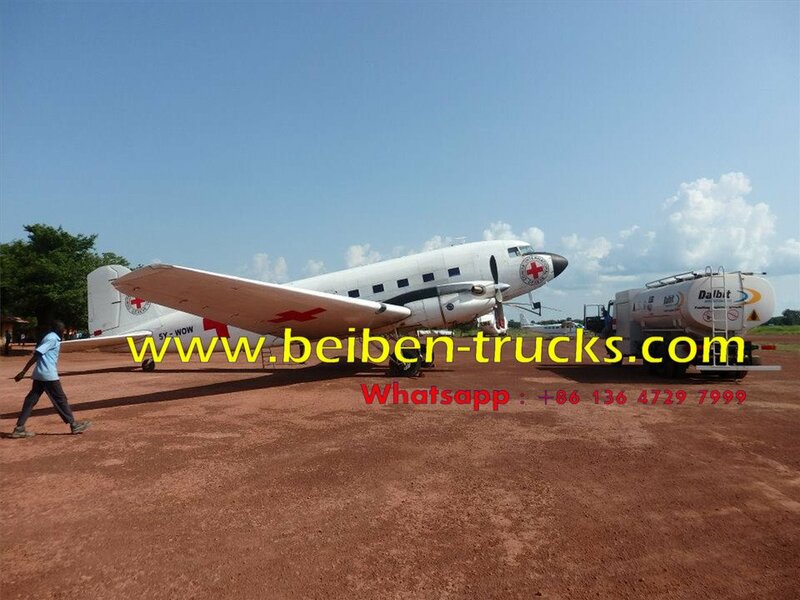 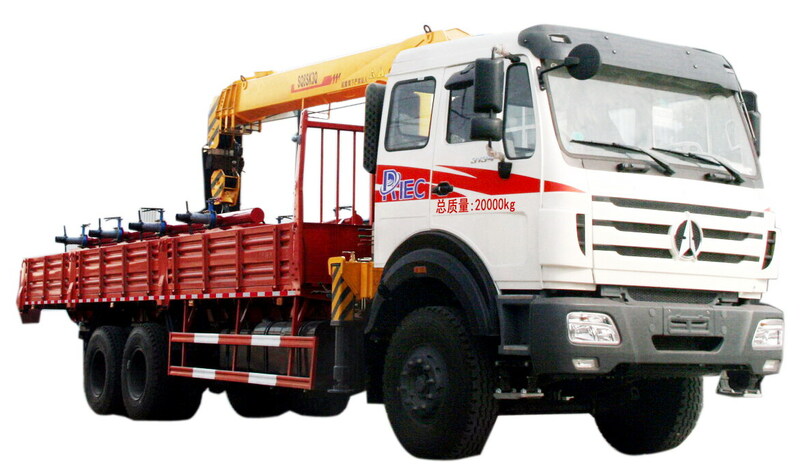 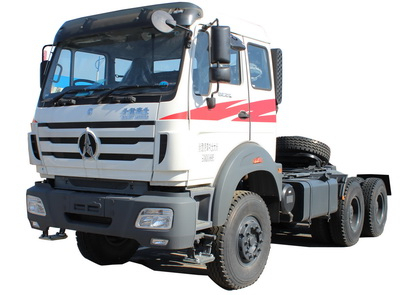 The most professional beiben 2534 airport fuel truck manufacturer in china, this kind of beiben 340 Hp engine 10 wheeler fuel trucks can be used for refueling the small airplane in airport, it is very safe and reliblae. 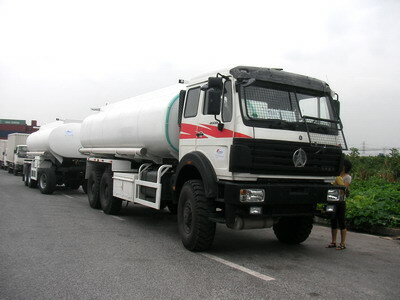 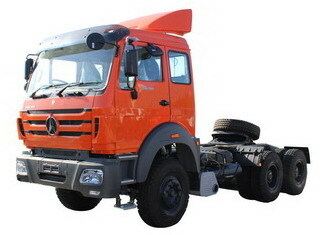 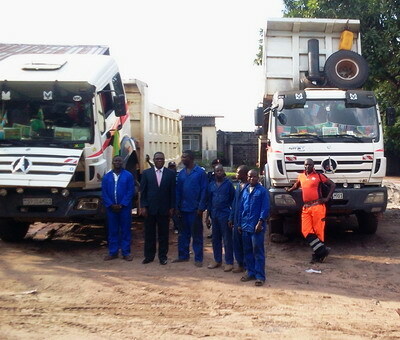 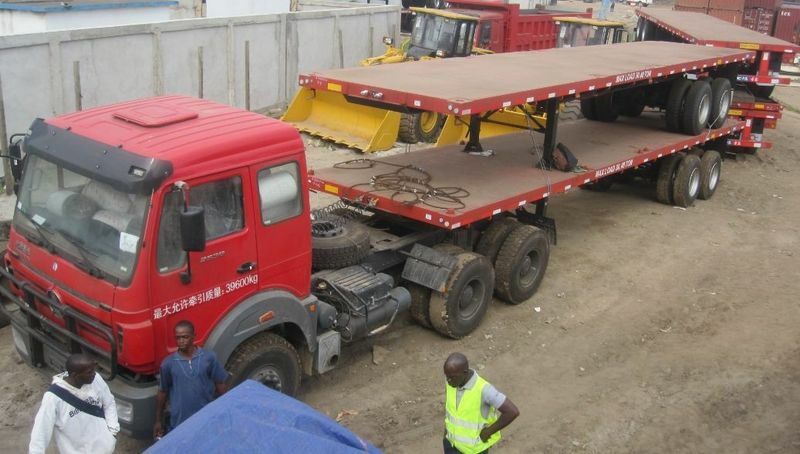 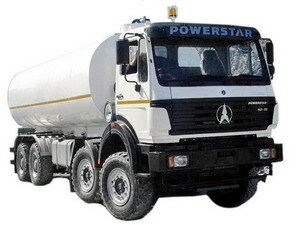 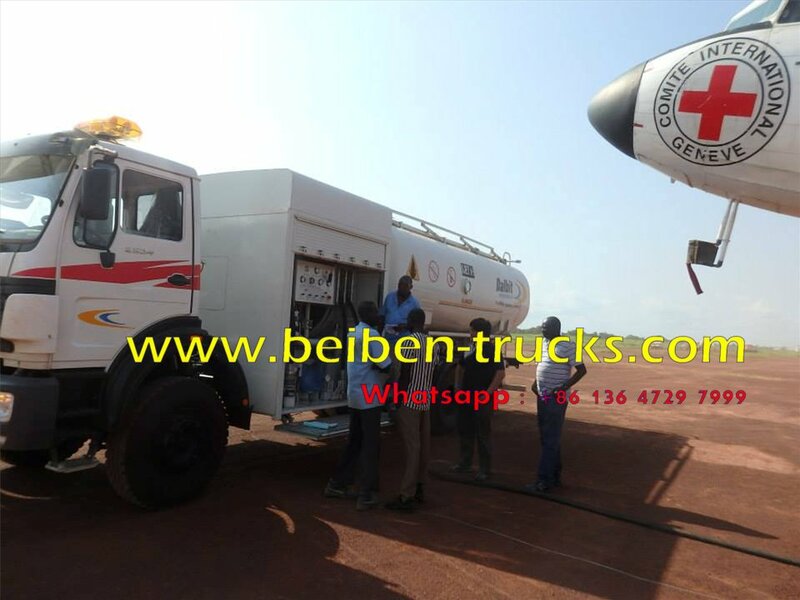 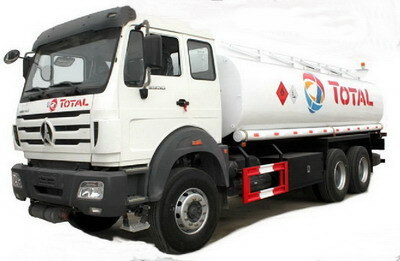 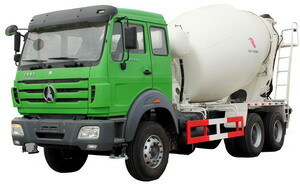 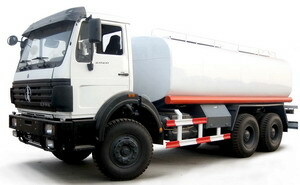 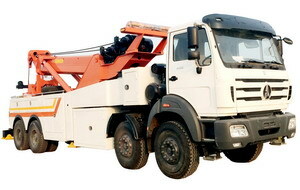 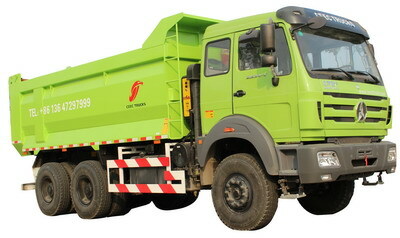 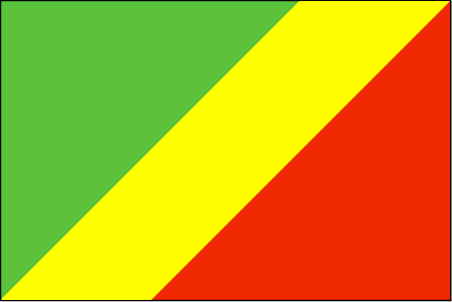 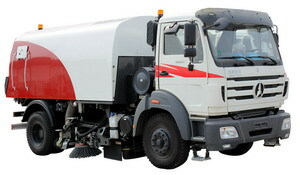 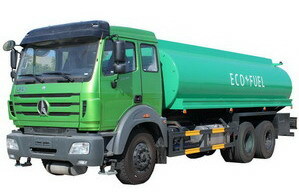 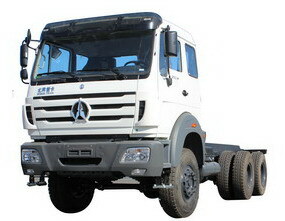 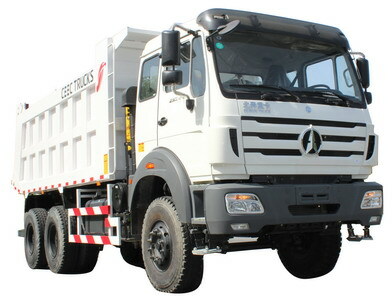 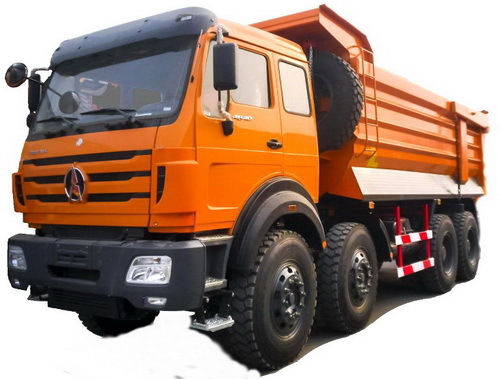 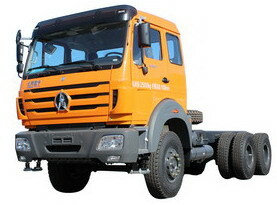 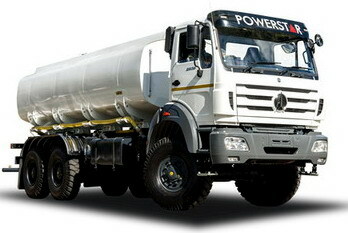 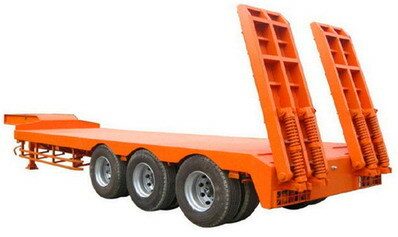 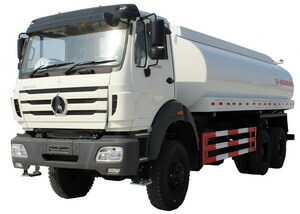 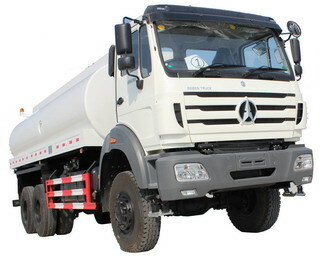 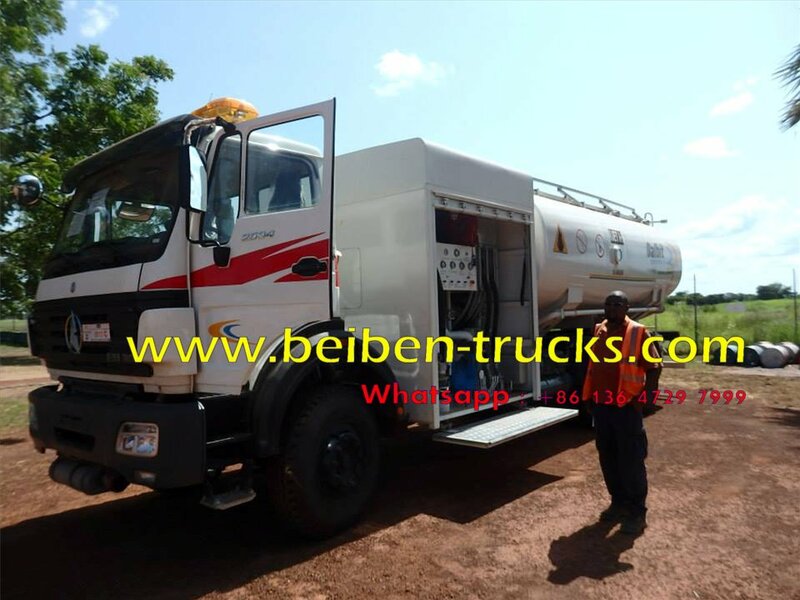 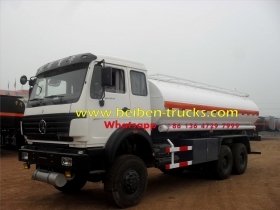 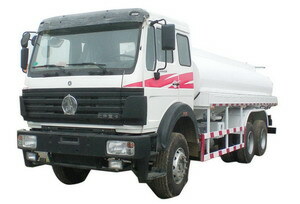 Compared with Germnay Benz trucks, this kind of beiben fuel tanker truck price is at least 40% lower. 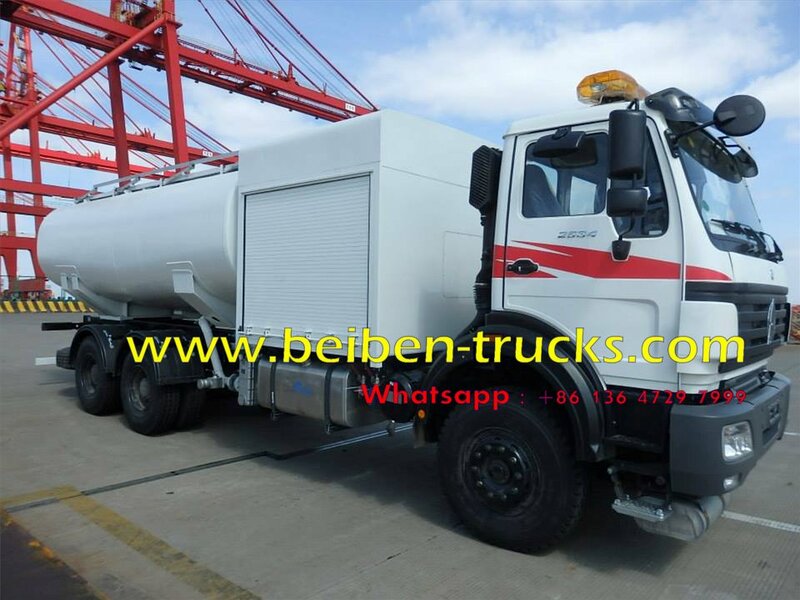 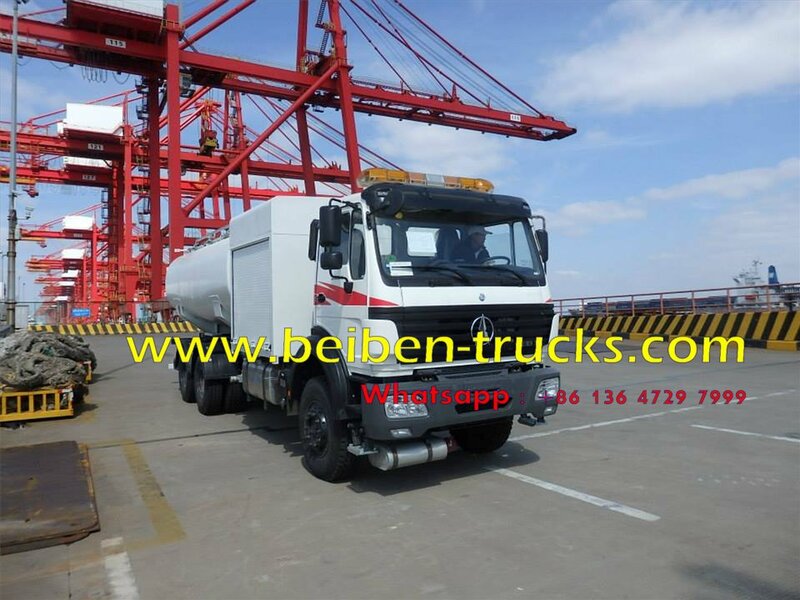 Currently, our beiben oil truck plant can supply all customers with beiben 4*2,4*4, 6*4, 6*6,8*4,8*8 fuel tanker trucks, range from beiben 2527,2530,2534,2538 fuel trucks. 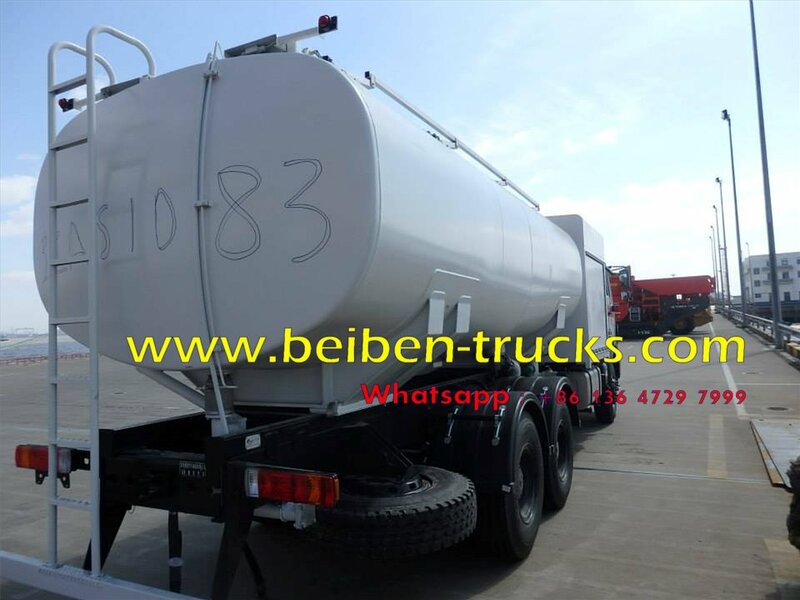 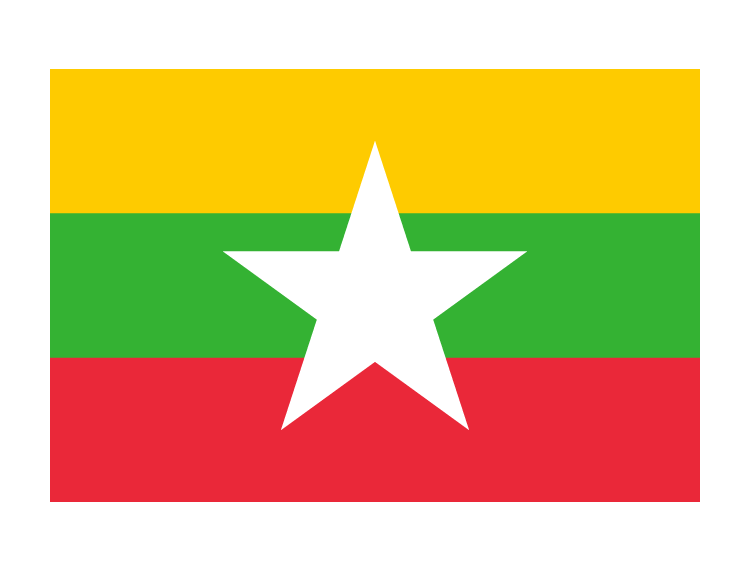 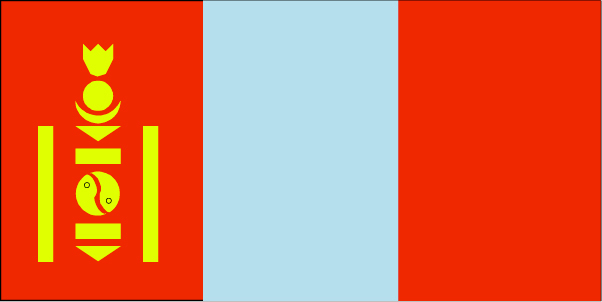 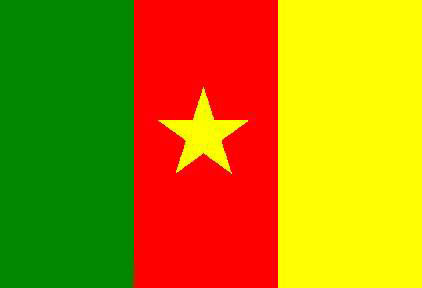 * Beiben fuel tankers body could b oval or trapezoid, tank inside with subdivision board, oil baffle plate, ensure to lighten the shock in the process of transporting. 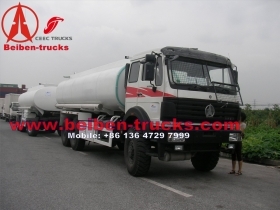 * Installed famous breath valve DN60, suitable and effective adjust the pressure in the north benz oil tankers. 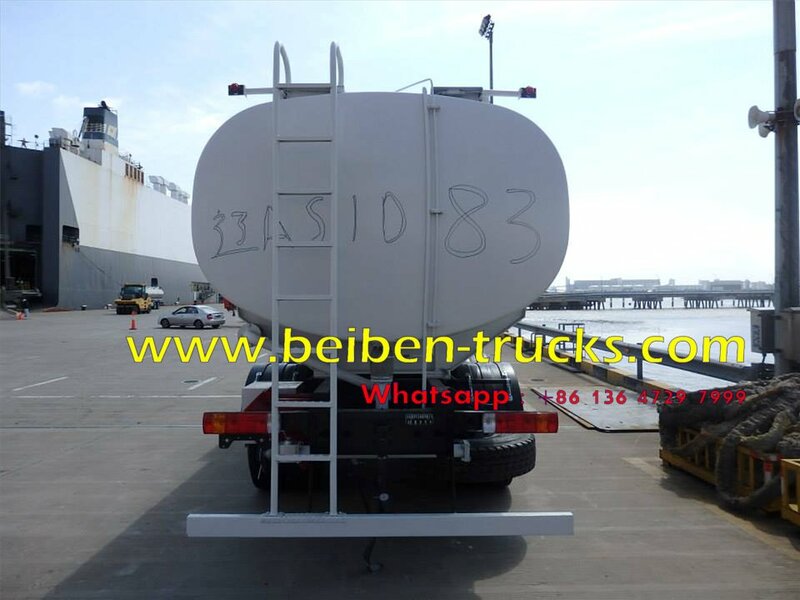 *Static guiding equipment lap joint adhensive tape on the rear tank can efficiently protect static that arise in the transportation. 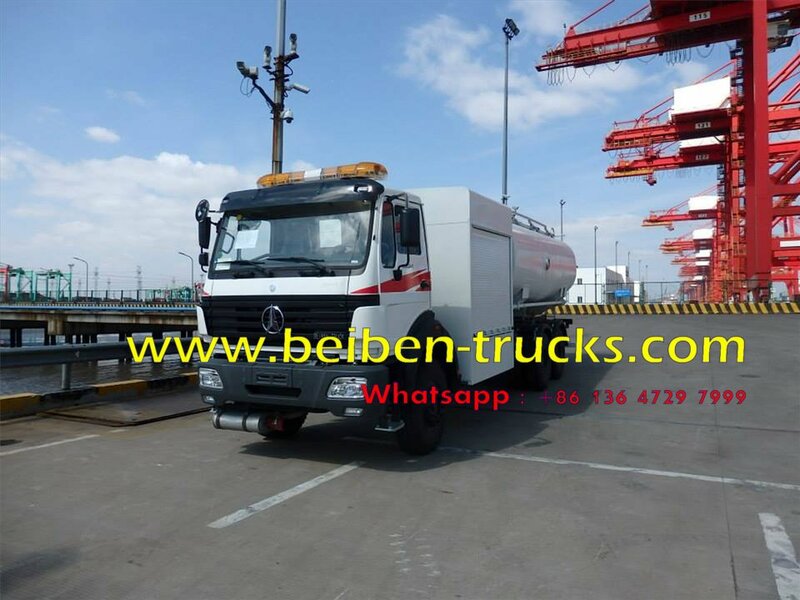 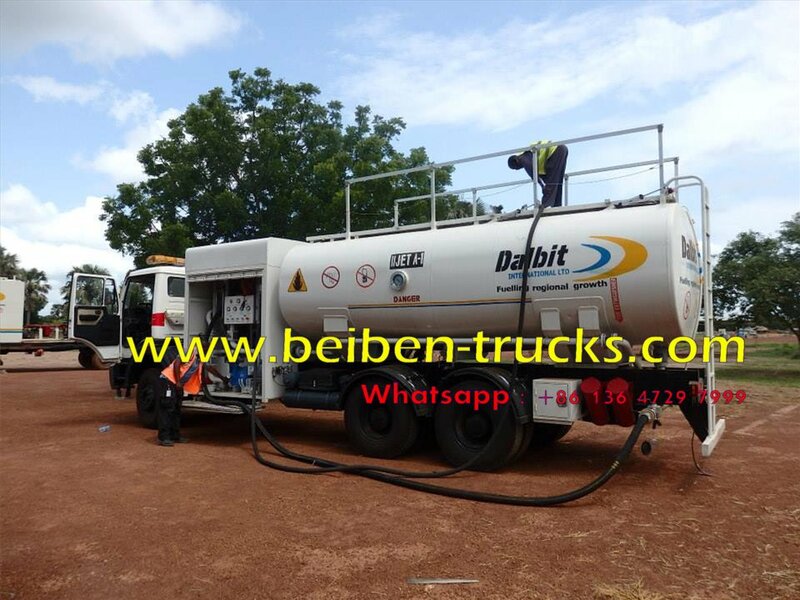 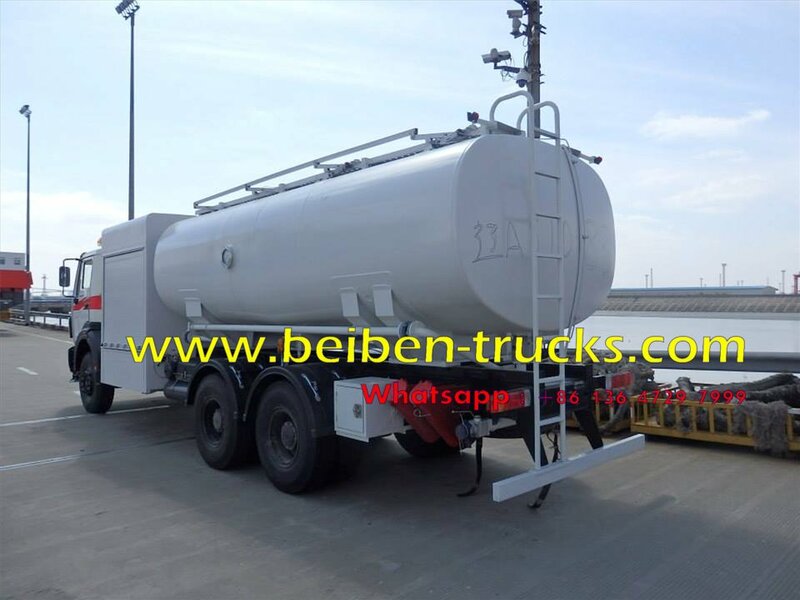 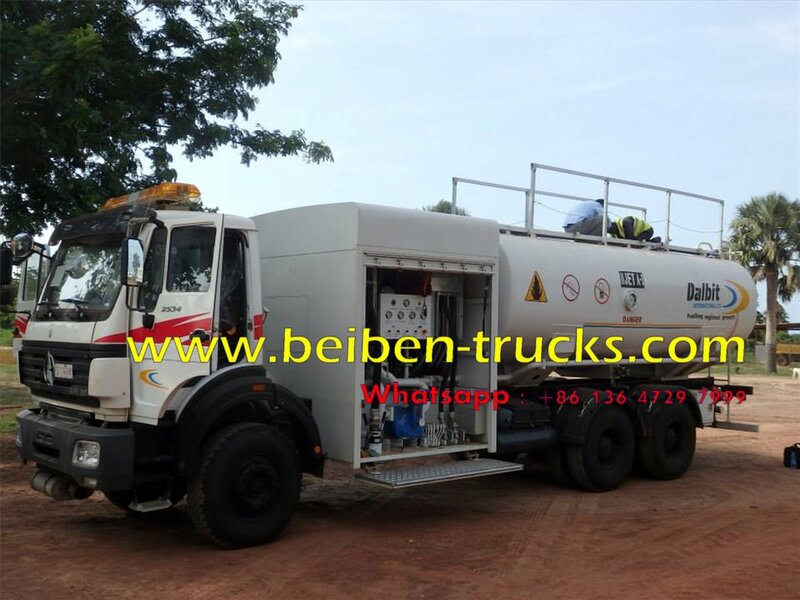 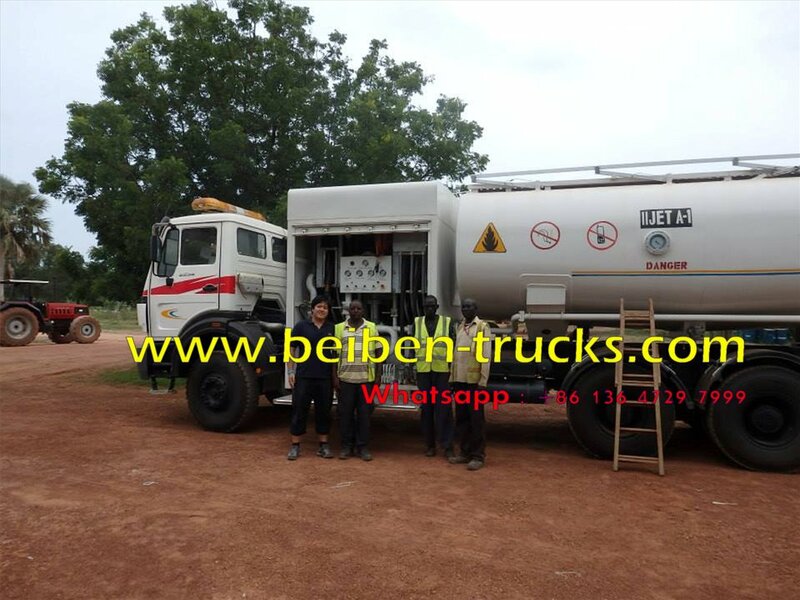 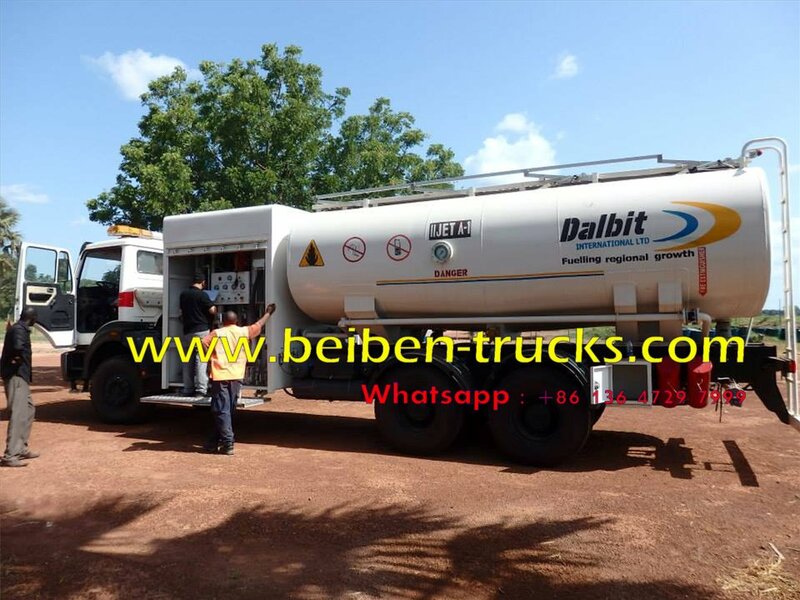 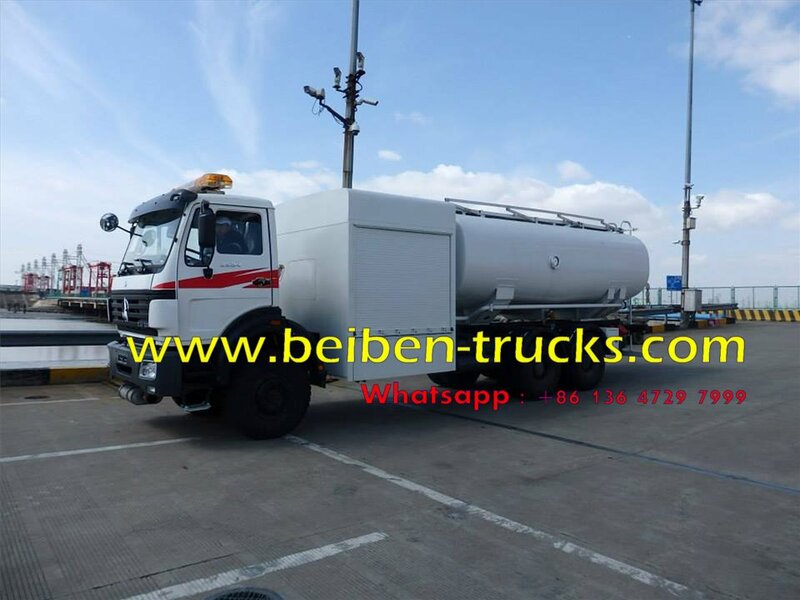 Beiben 2534 fuel tanker truck in customer's working site. 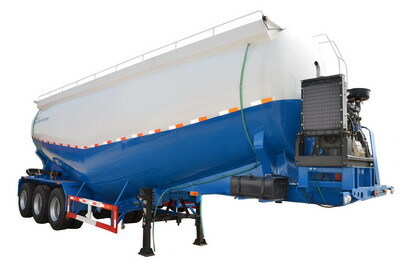 Shot blasted with 1 antirust, 1 base coat and 1 finishing coat, the color of tank is according to customer requirement.